It just that somehow I can't finish all the things I need to accomplish on my to do list. Yes, I'm going to Taiwan, for two whole months! Marinade the pork slices for at least 15 minutes. Wait until the slices are all cooked through, transfer them onto a plate. Cook till the liquid is absorbed by the ingredients. Remember, this dish is very good with beer too! 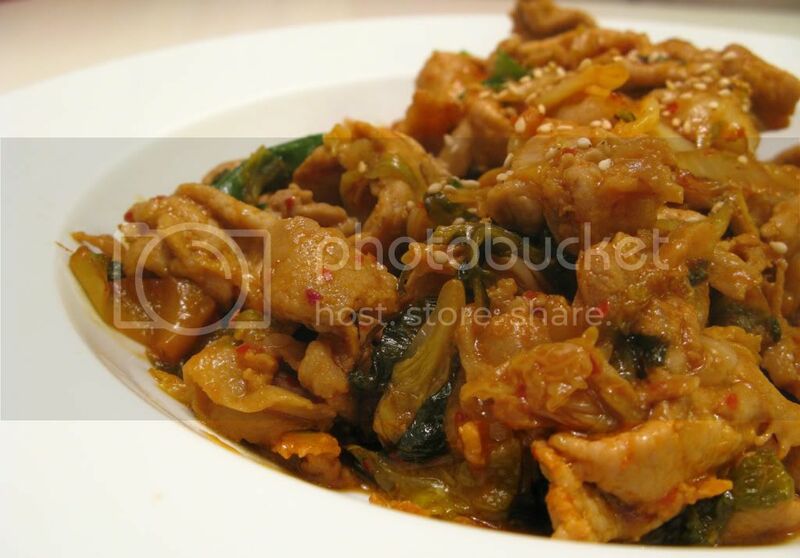 yum yum kimchi pork! and I will b back in NorCal for a week! Oh, I am faint with hunger. 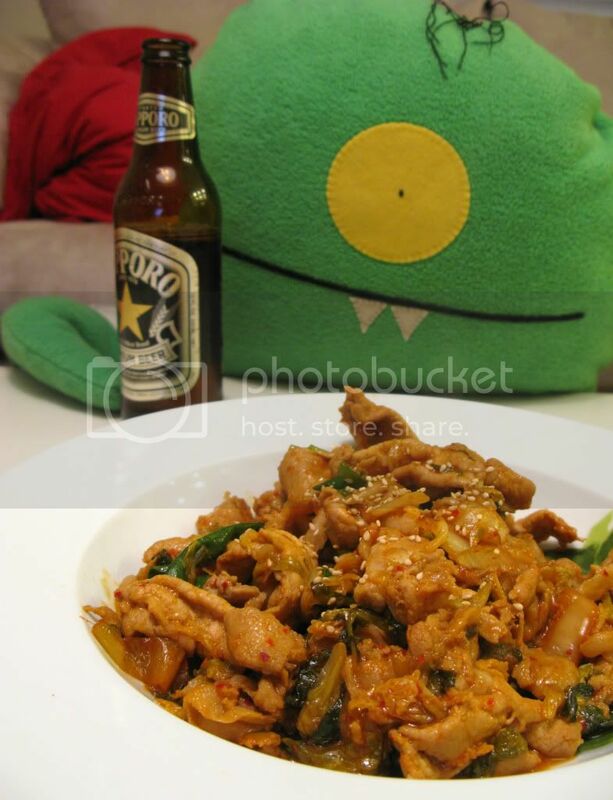 The Sapporo beer in the background makes this dish even more mouth watering! Yeah, this dish is so good with beer! You gonna be back for the shabu opening? Yeah, I'm going to be back for the shabu shabu opening! Can't wait! Beautiful dish again! And the green monster appears again :). Yay! Ha yeah, green monster loves beer! *SIGH* I haven't been back to Taiwan in almost 15 years and I really want to go there AND EAT!!! Haha that's what this recipe is for, you can try to make it at home! I just made this tonight, and this dish is best recipe that I've cook and tasted! Actually, my wife liked this very much and she asked me to cook this again tomorrow.